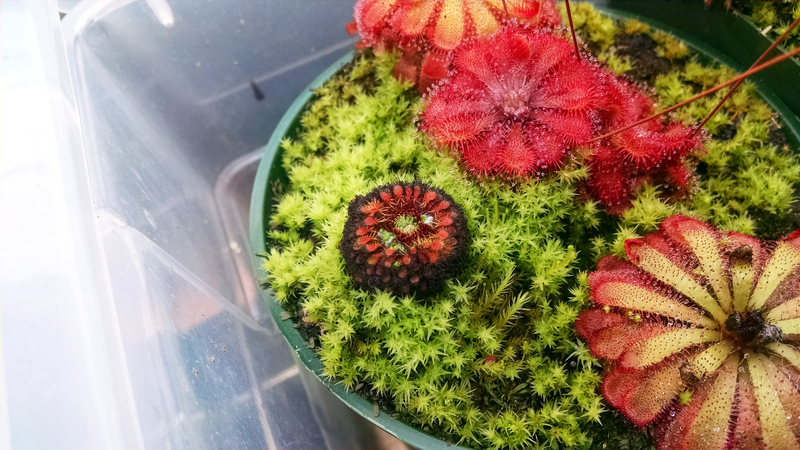 Gemmae production is rough on pygmies |Sundews Etc. Gemmae season is in full swing for my pygmies, but man, some of them are taking it hard. Especially Drosera allantostigma. These plants look wiped out. These guys are absolutely wrecked right now. 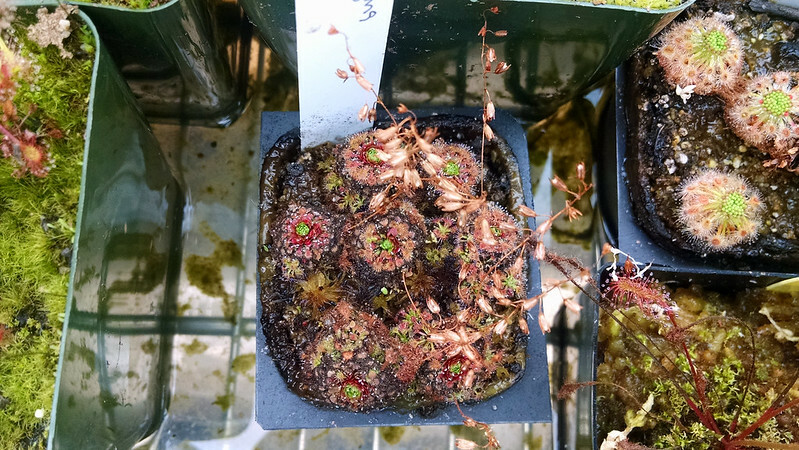 I remember back when I interviewed bluemax he mentioned that he didn't like his Drosera scorpioides producing gemmae because it set them back several months. I can totally understand that position now. Just look at my prized D. allantostigma in the community pot! Wow. What a change from the glory days. It looks like death warmed over. This is my first season putting my pygmies through gemmae-making, so hopefully it's not as grim as it seems. I want to feed these guys,but there's no dew on the leaves. I guess I'll wait a few weeks and see what happens after I harvest all those gemmae. That's gonna happen soon, btw. Watch this space. 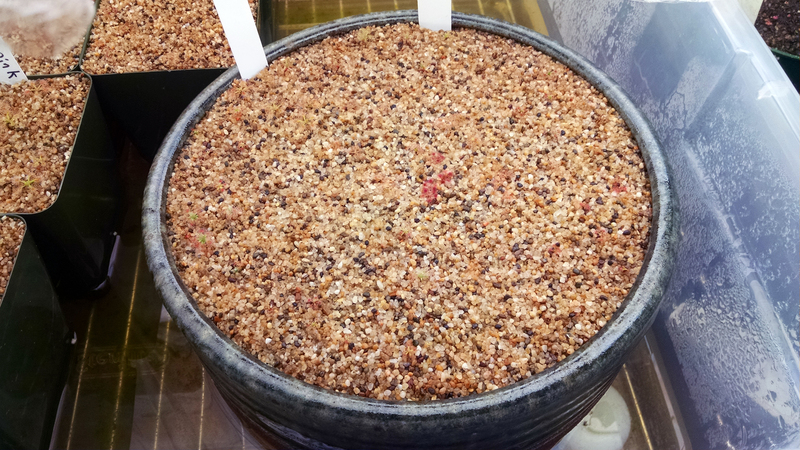 I did end up harvesting a bit of D. allantostigma for a new proper pygmy pot, btw. There is nothing wrong with more pygmies. I'm going to eventually transition all of my pygmies into nice neat sand-topped pots. I'll just need to get another set of lights to accommodate that, hahah. 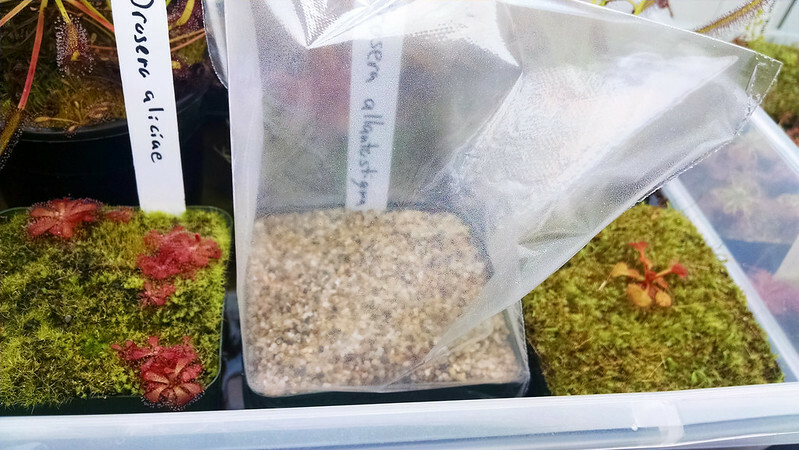 I also have a new order coming from Drosera Gemmae. Four new species – Drosera spilos, Drosera nitidula, Drosera leucostigma, and Drosera oreopodion. Now I'm just waiting for Drosera gibsonii, Drosera mannii, and Drosera x Lake Badgerup to become available and I'll be done for the year (maybe). I've been talking about pygmies a lot lately, but I guess it is the season. To cap it all off, here's a progress shot of the Pygmy Garden. Go ahead and click the picture – there's a lot happening in there!